But, there are few missing steps which can help ease the burden of errors. At the same time, the information is a little out-dated. But, it works with the following adjustments. Please Understand!! This is NOT approved by Microsoft. Use this method for Test Only!! At this stage you could try to install SQL Server, but it might failed. This is needed in order to check what dependencies are missing. 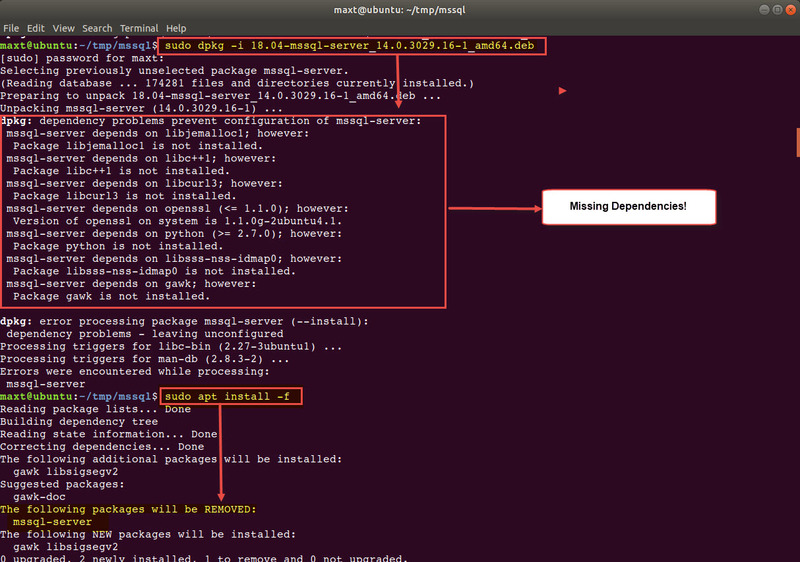 Then, make the necessary dependencies installation. 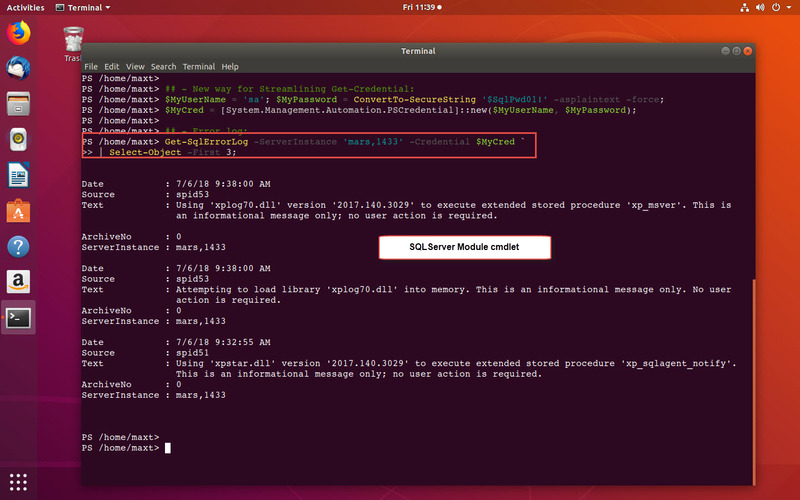 As of today, July 5th, I went thru a series of trial-and-error to get my SQL Server running on my Ubuntu 18.04. Package libjemalloc1 is not installed. Package libc++1 is not installed. Package python is not installed. Package libsss-nss-idmap0 is not installed. Package gawk is not installed. It will clear/remove SQL Server installation components, but it also try to install some, but not all of the dependencies. As is shown in the image, only two of the listed dependencies were installed: “gawk“, and “libsigsegv2” (this one might be from another package not for SQLServer). 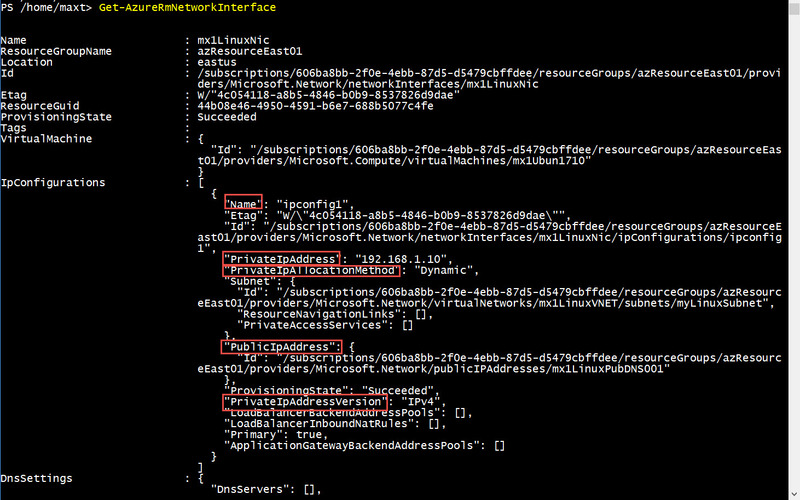 So, identifying the missing dependencies can alleviate the burden of more fail attempts to install SQLServer. The following command will install all on the listed failed dependencies, excluding OpenSSL because another version is already installed. After all the missing dependencies are installed than I can proceed to rerun the re-package SQL Server installation for my Ubuntu 18.04. By the way, I already took care of the OpenSSL in the “Create Your Installation” step where I change the version number. Yes! In Ubuntu 18.04, Python version 3.6.5 is the one installed with the OS. So, Python 2.7 is not installed. Try running the command: python –version, then python3 –version at the Terminal Console. 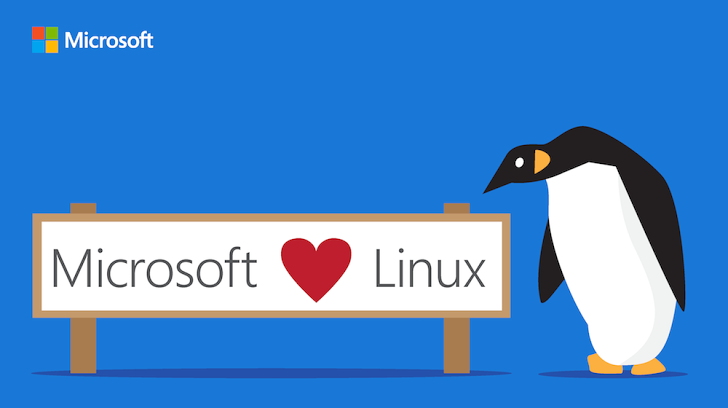 In order to install SQL Server in Linux, it need Python 2.7 installed in order for the installation to work. 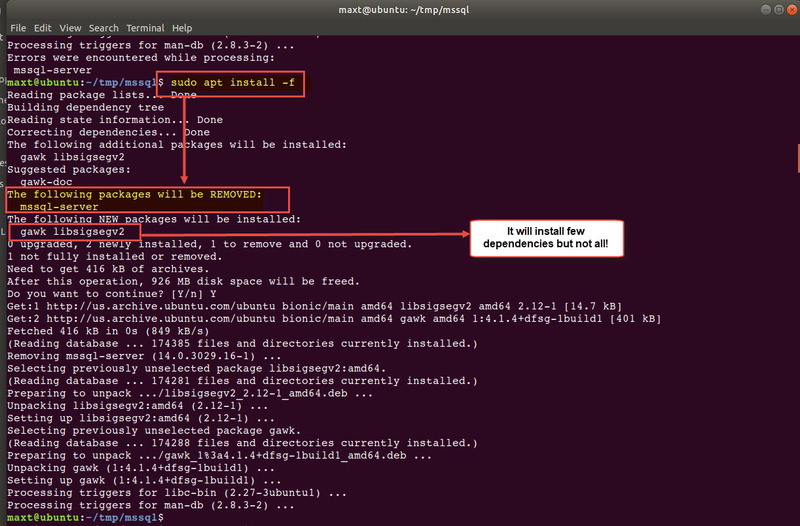 This is why I included Python in the “sudo apt install …” command to be installed with the other missing dependencies. This time the installation completes without any error. 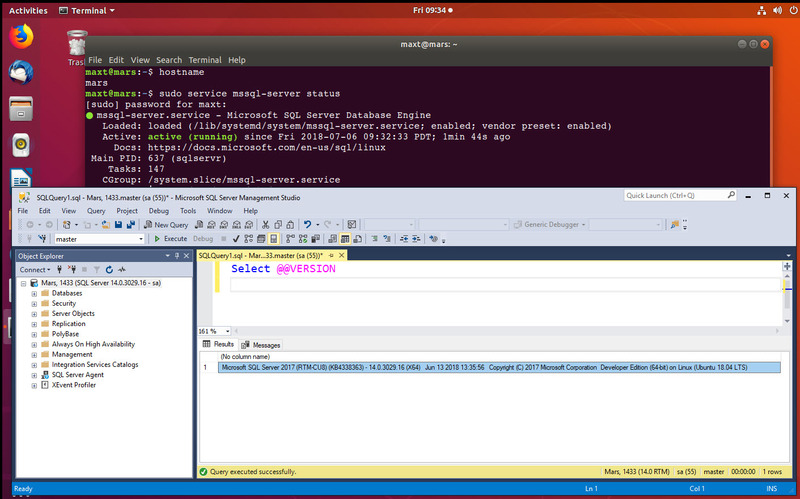 Next, verify from your Windows client and open SQL Server Management Studio to verify that the Ubuntu 18.04 SQL Server is accessible. 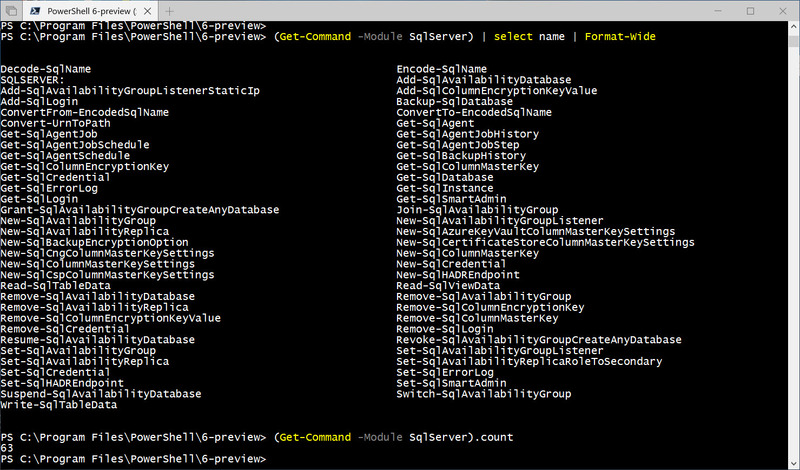 Well, if you got PowerShell Core installed, then get the SQLServer Module and start to play around working with both the available cmdlets and/or start coding SMO (SQL Server Management Object) PowerShell Core scripts. Be creative! 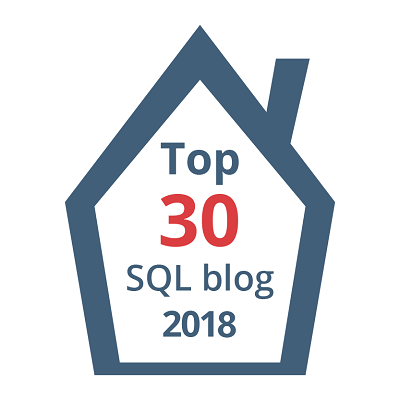 Check out my previous blog post “PSCore6 – SQLServer Module Expanding The Barrier Cross-Platform” for more information. 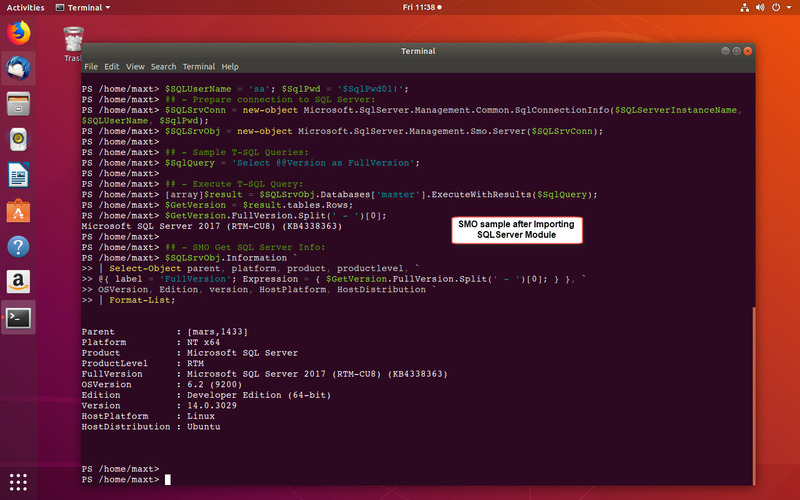 This is a hacking technique to be able to install SQL Server in Ubuntu 18.04. This is not supported by Microsoft, but you will be able to make it work. Basically, is a matter of installing all the missing dependencies, and change the package required OpenSSL version number to the one installed in Ubuntu 18.04. Then, repackaging the SQL Server installation dpkg file will allow the installation to work. There has been some noise around “Whatever happened to PSReadLine on this build?“. Well, its a very vague comment. And, due to I’ve been working more with PowerShell Core then I’m starting to stop paying attention to Windows PowerShell. 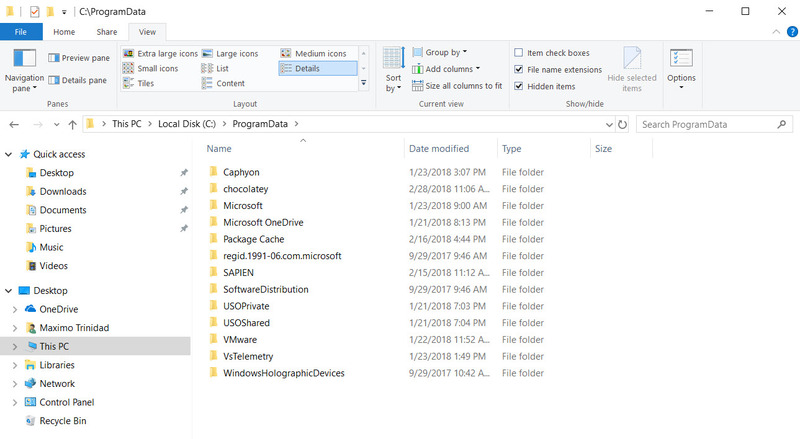 What did happened with Build 17704? OK!! So, Windows PowerShell in Build 17704 is missing the PSReadLine Module. 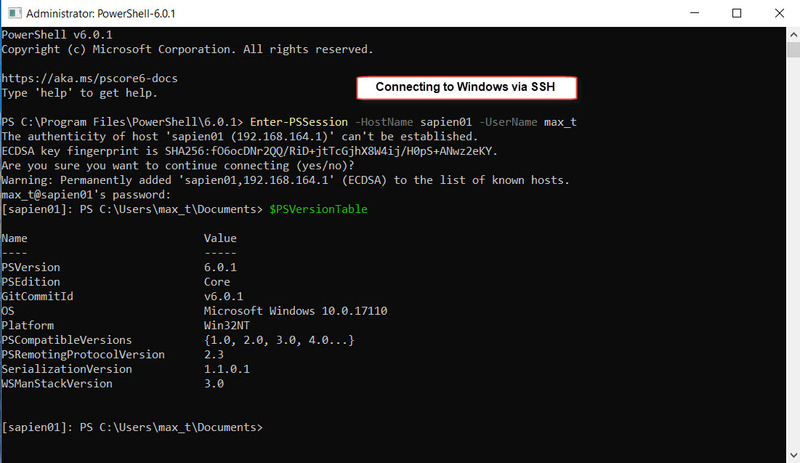 So, the workaround is simple to download it from the PowerShell Gallery. Except! That you need version 2.0.0 (not 1.2). This is good thing because you can install and uninstall module when version 2.0.0 final release get published. You don’t want to use version 1.2. I’m hoping this will help! 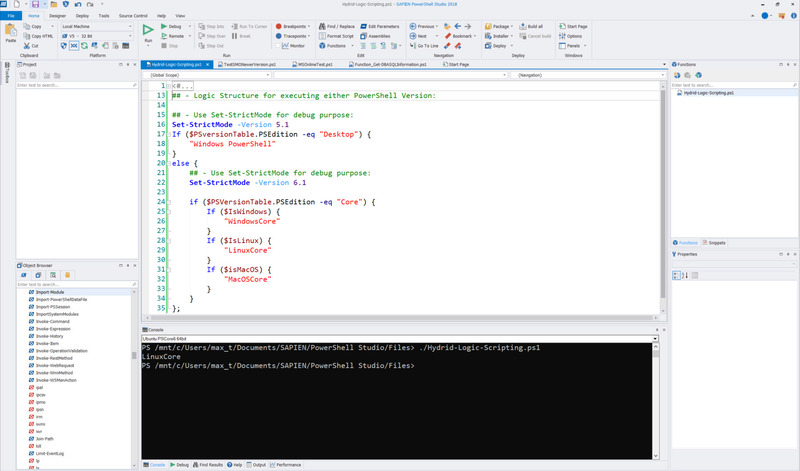 There’s no issues with PowerShell Core and PSReadLine Module! This next version of OpenSSH bring more changes and here’s how to configured it. 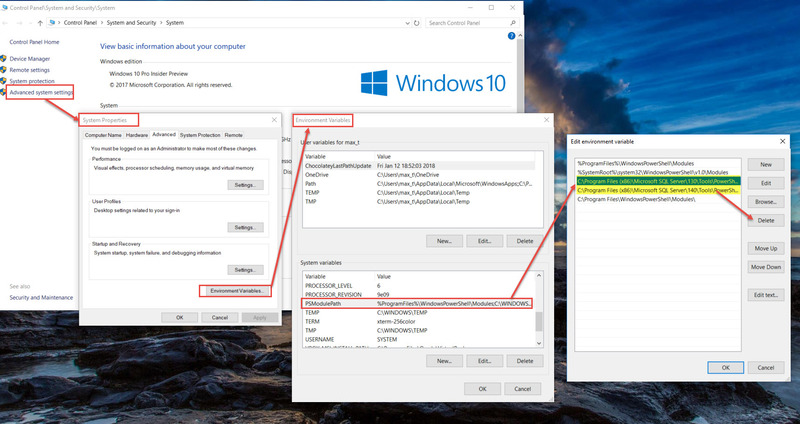 So, let’s refresh the installation steps so we can remote connect from Windows to Windows, or any other non-Windows Systems using ssh protocol. For now, this applies to Microsoft Windows [Version 10.0.16299.248]. 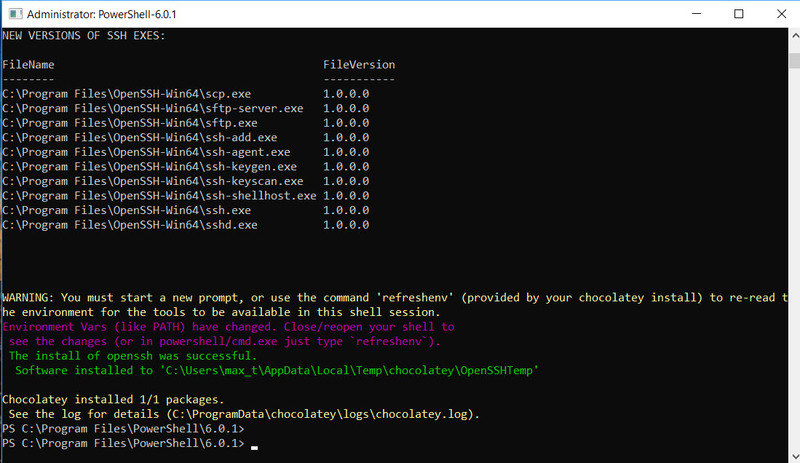 Use Chocolatey package manager for Windows to install OpenSSH-Win64. On a new windows system, it will need to be install. Make sure to open PSCore6 console “Run as administrator“. The result on screen will provide with the latest version available with the release notes for this package. 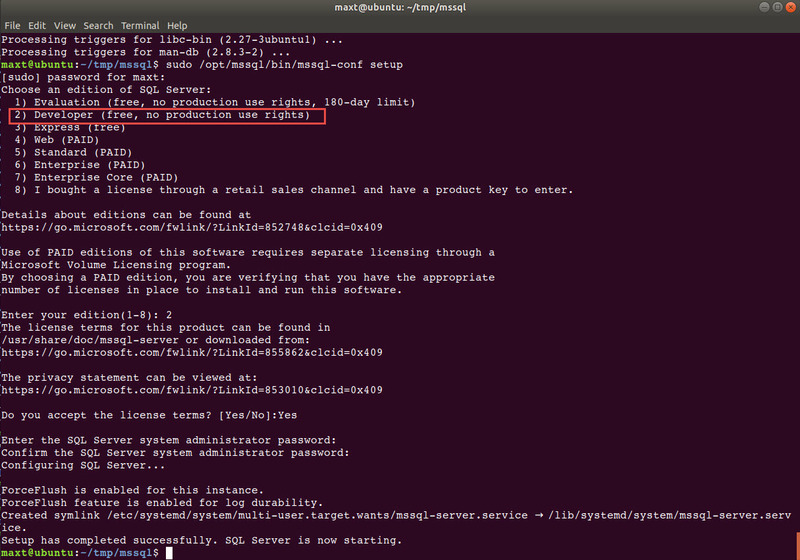 One of the fixes, clears the issue with setting the ssh services permission it is set back to “Local System“. After verifying and reading the release notes, continue with installing the package. The following command will install OpenSSH-Win64 on the new system. Now that we got the module installed, we need to make some configuration changes before installing the ssh services. 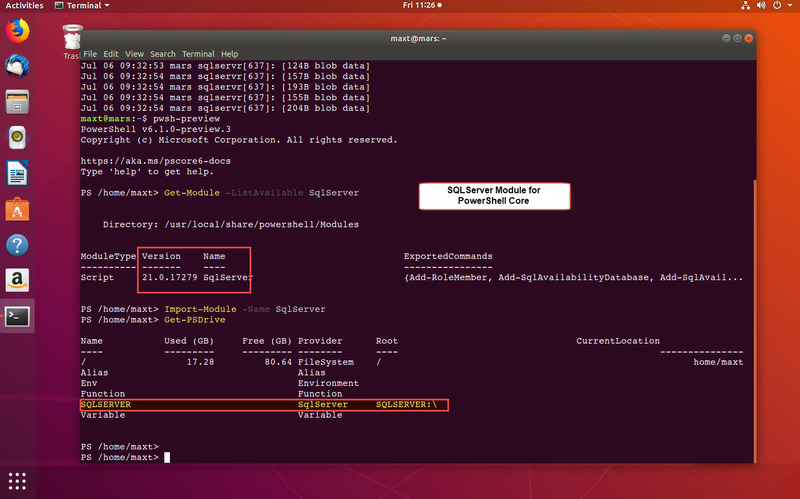 1. sshd_config-default – located on: “C:\Program Files\OpenSSH-Win64“. 3. Also, all security key files are copied over from the “C:\Program Files\OpenSH-Win64” folder into the “C:\ProgramData\ssh“. Remember, before the ssh services installation, the folder “C:\ProgramData\ssh” doesn’t exist. Remember that any changes to the sshd_config file will requires both ssh services to be restarted. Now, we can proceed with the installation of the SSH Services. And, this installation will include the SSH-Agent Service. Both the ssh and the ssh-agent service are installed but remains stopped. The installation also created a ssh folder under “C:\ProgramData” and the sshd_config file with the change we did previously to the sshd_config_default file. Notice, now we got the folder “C:\ProgramData\ssh” populated with all the ssh keys need for connectivity. We are ready to work with the installed SSH Services. Here are some final adjustments to make sure both SSH Services will start automaticaly after the system reboots. Finally, we are ready to test SSH connection to another system. 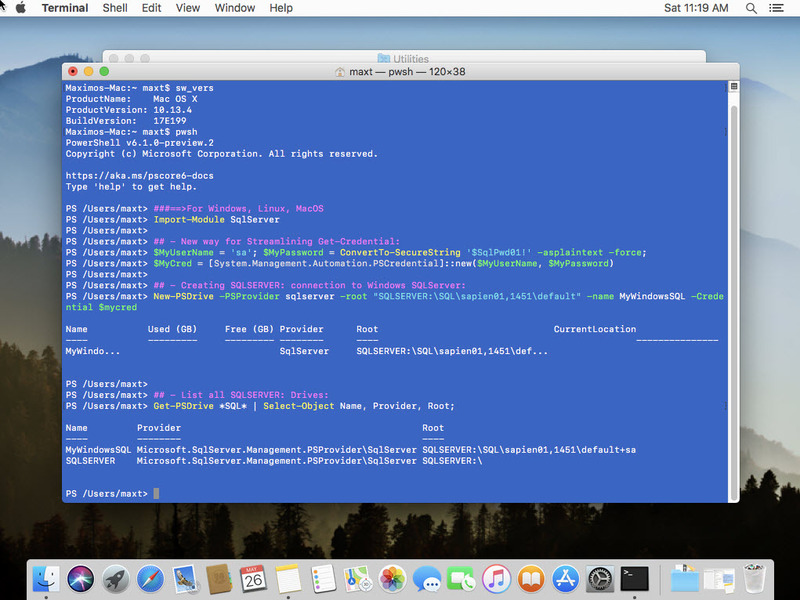 The installation is complete and both SSH Services are running. 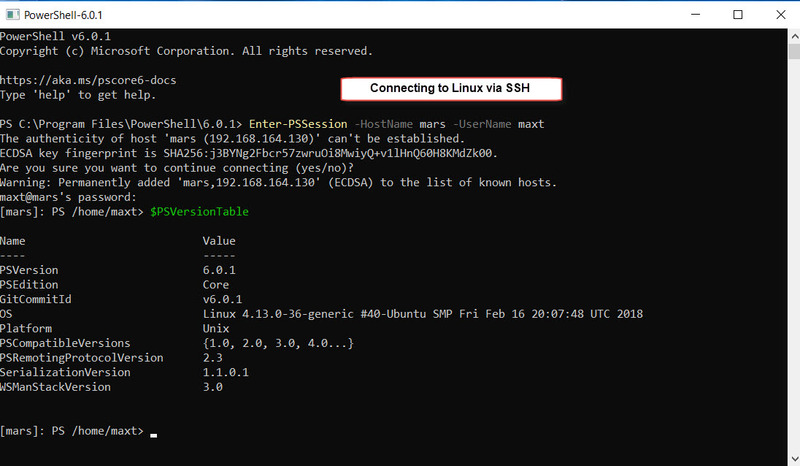 In order to test, we open PSCore6 console and use the “Enter-PSSession” command to connect to a Linux system or Windows system using SSH protocol. Now, we are successfully connected to another system using OpenSSH. This is an example that can be use in both Windows PowerShell and PowerShell Core to customize the result information from the “Get-AzureRmNetworkInterface” cmdlet. Showing the importance of using the Script-block Expression in the Select-Object statement when querying PowerShell .Net Object. Now, to document this information in a proper format, a custom script need to be created. This will display all Virtual Machine network interface in your subscription. But, I’m just interested in getting the Virtual Machine name. Notice the common separator is the forward-slash ‘/’. We can use the .NET split() method to extract the *Virtual Machine name value. This way we can list all the separate values belonging to the “*.Id” property. So, in order to access the Virtual Machine name, we count the listed values from 0 thru 7. We found the name is on #6, then use the number to extract the value. How About The Ip Configutation section? This makes it much easier to extract information by just pick and chose properties. 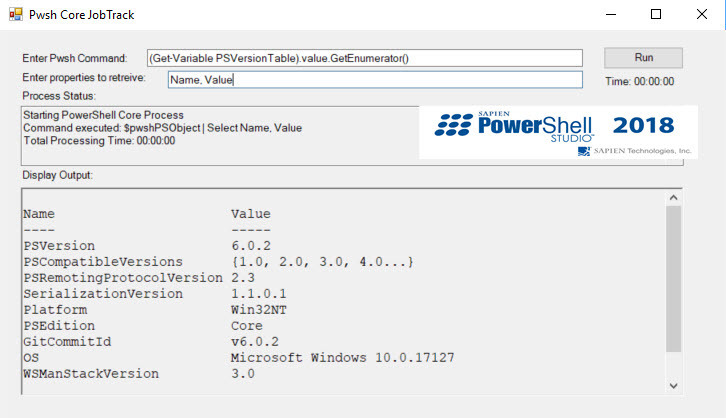 In the above sample code, the results are saved into a PowerShell variable for better output formatting. Although I’m only showing extracting information from the Get-AzureRMNetworkInterface command, this can apply to any PowerShell cmdlet that provide such complex properties values. This can apply to both Windows PowerShell and PowerShell Core. 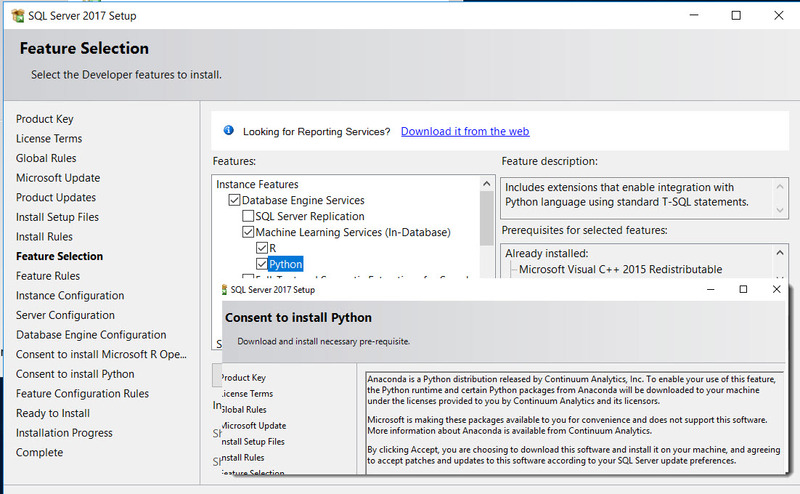 SQL Server 2017 comes with the option to include Python (Anaconda) during SQL Server installation. It will install Anaconda with a small set of python packages for the purpose of creating Data Science solution that sre executed within T-SQL statement(s). Unfortunately, there’s no documentation of what Anaconda packages are installed with SQL Server. Doing the full Anaconda installation, gives the necessary commands to query what has been installed in your system. 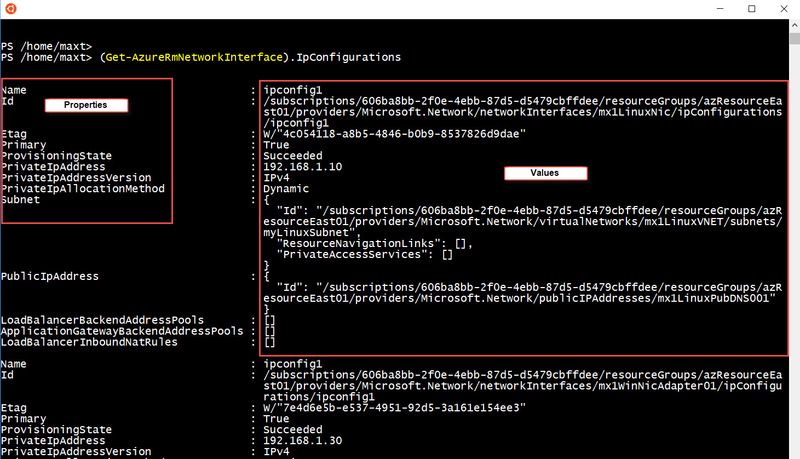 This makes it much easier to list all existing installed packages. But, with SQL Server 2017 is a different story. 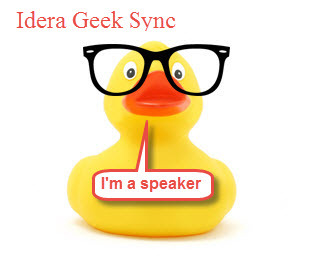 Where’s my SQL Server Anaconda packages? All packages are of file type *json. Each Anaconda package will named with: the package name, package version, and python version number. But, this makes it hard to view using “File Explorer“. So, solution to list the SQL Server Anaconda packages in a proper format will be needed. So, here’s a PowerShell function that will list all installed Anaconda packages in SQL Server 2017. 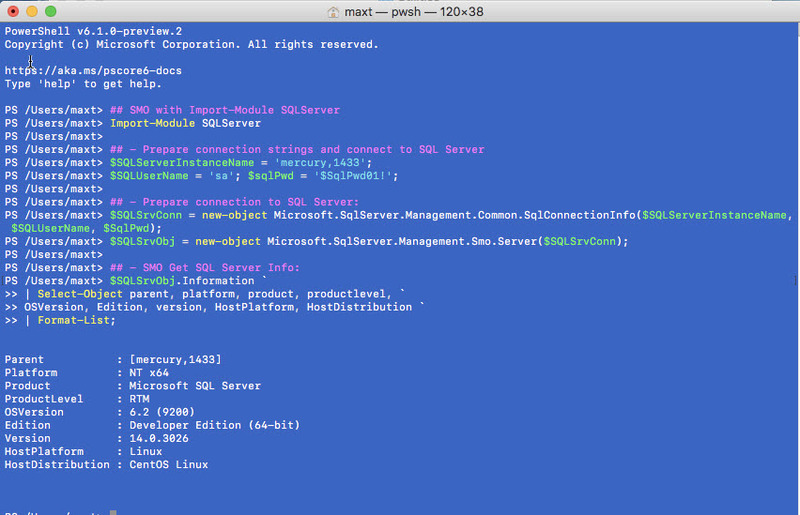 This will required to enter some parameters, such as: SQL Server Installation Location, and SQL Server Instance name. $SQLServerInstallationLocation = "$($SQLServerInstallationDrive)\Program Files\Microsoft SQL Server\MSSQL14.$($SQLServerInstanceName)\PYTHON_SERVICES\conda-meta"
Executing Anaconda within T-SQL seems only available on Windows version. But, you can still create the Python code and do some testing on Linux. The total number of packages provided with Microsoft SQL Server 2017 is about 146. Now, in the full version of Anaconda, there is a total of about 217 python packages. So, there’s plenty of room to learn with Python Data Science and SQL Server 2017. 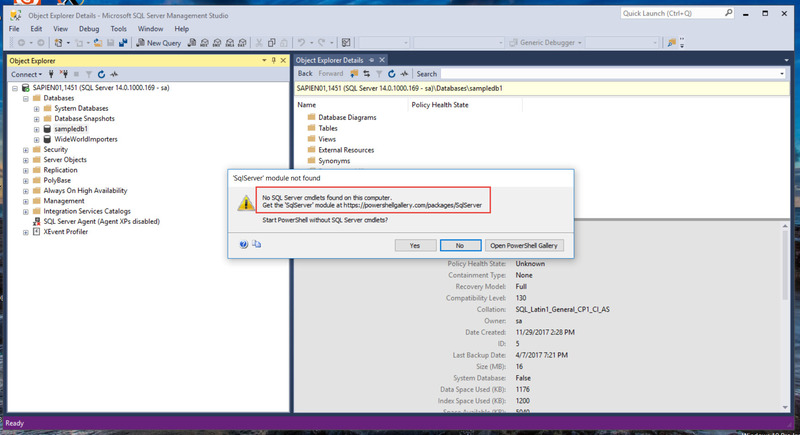 It was just a matter of time, as it was already mention in previous SSMS (SQL Server Management Studio) documentation that SQLPS module was going to be deprecated and replace with the new SQLServer module. 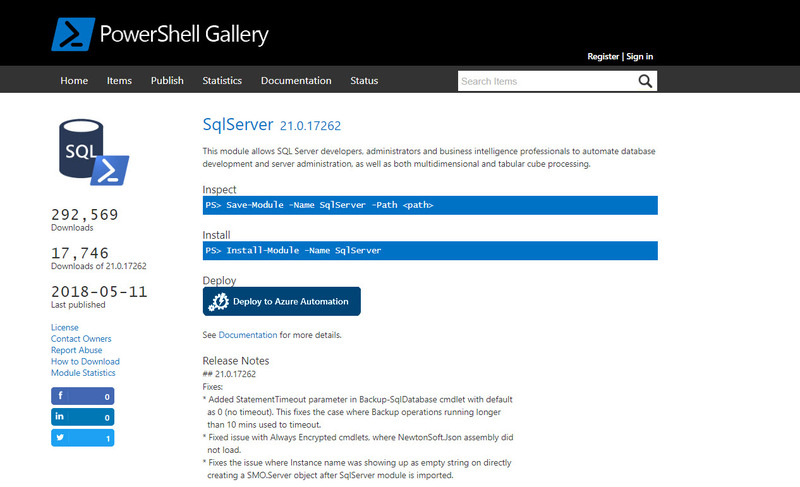 After SSMS Version 17.4 was release back in December, SQLPS module is no longer available. 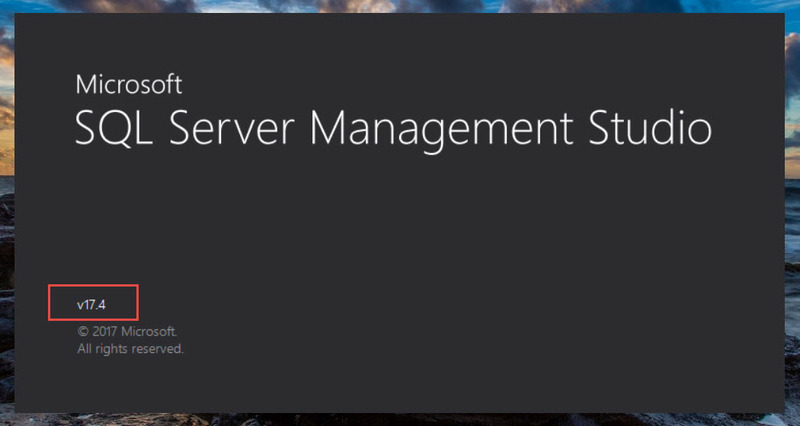 So, if you try to use the “Start PowerShell” from any of the database object, you’ll get the message “No SQL Server cmdlets found…” popup message. But, no worries! 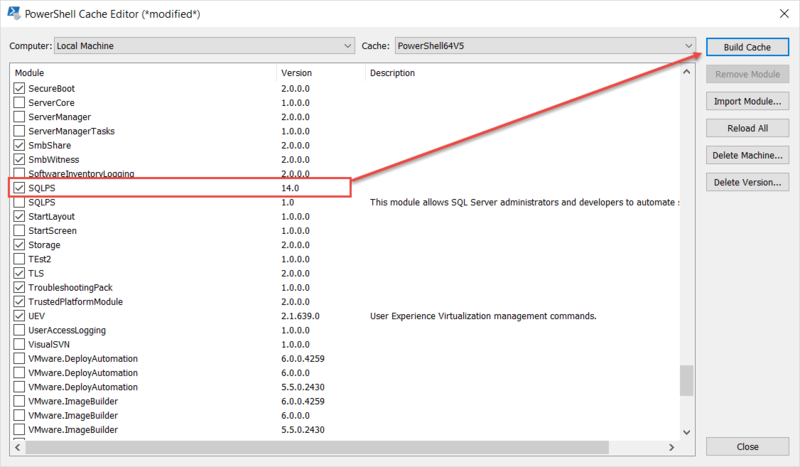 Both the SSMS link and the popup message tell you where to get the new *SQLServer PowerShell module as is a separate installation from the PowerShell Gallery. 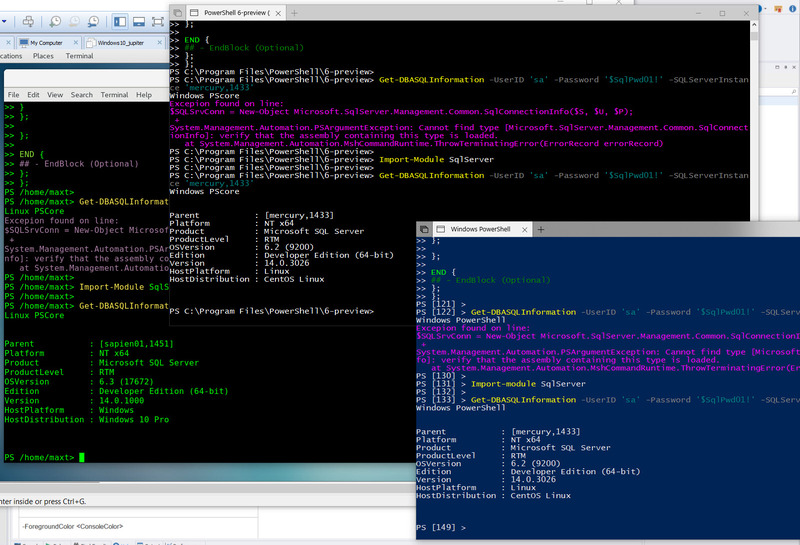 One thing to point out, this module is only meant to be use on Windows PowerShell. In other words, it will not work in PSCore6. 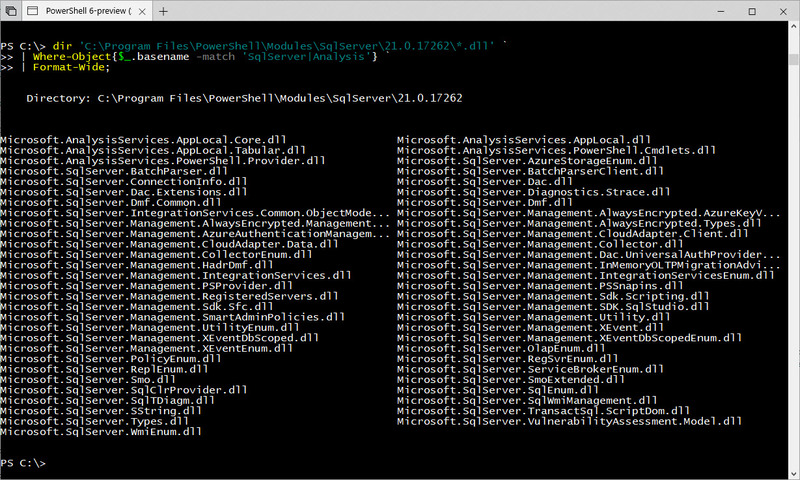 Now, there’s the chance previous SSMS installations have left the older SQLPS PowerShell Module in the system. 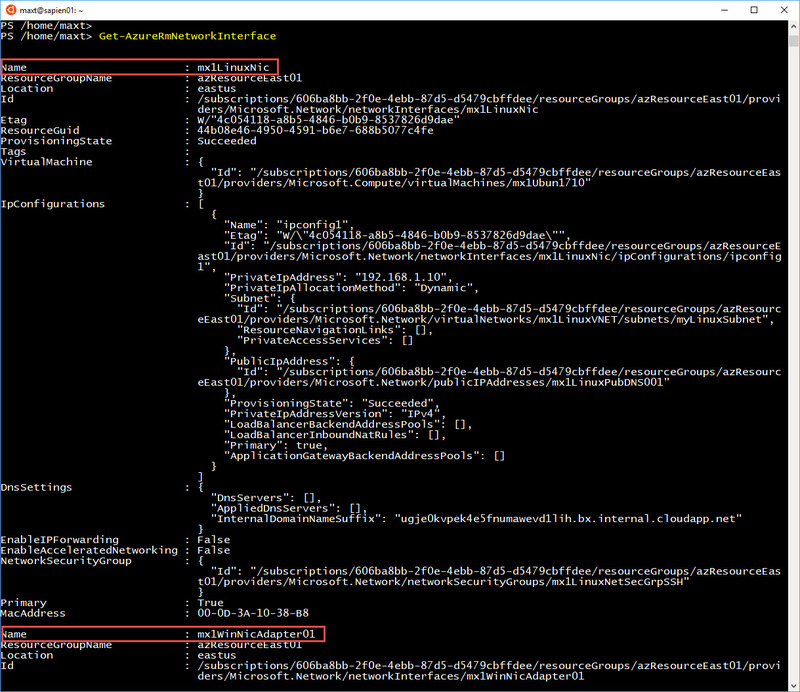 As is shown in the previous image, the variable $env:PSModulePath contains the path to the existing SQLPS module(s). 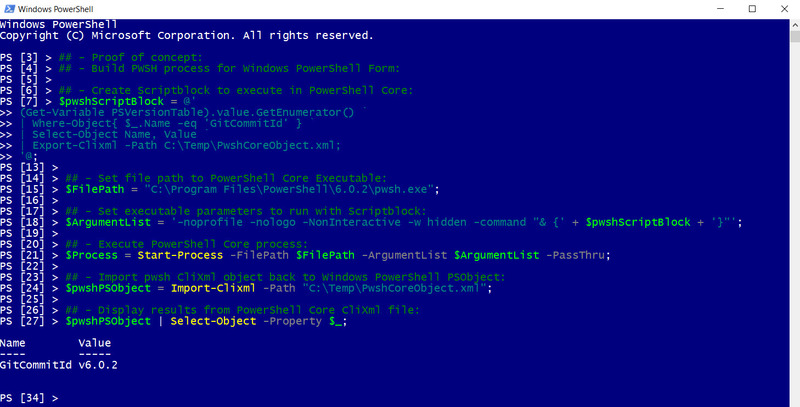 Either, remove the path manually using PowerShell, or thru the GUI System “Environment Variable“. The only downside, you need to create the script from scratch. There’s plenty of documentation about SMO to overcome this hurdle. 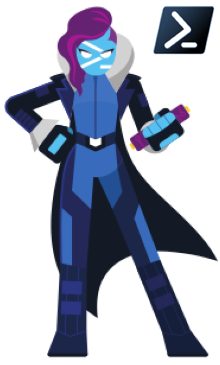 Most important, you are sharpen your PowerShell scripting skills. 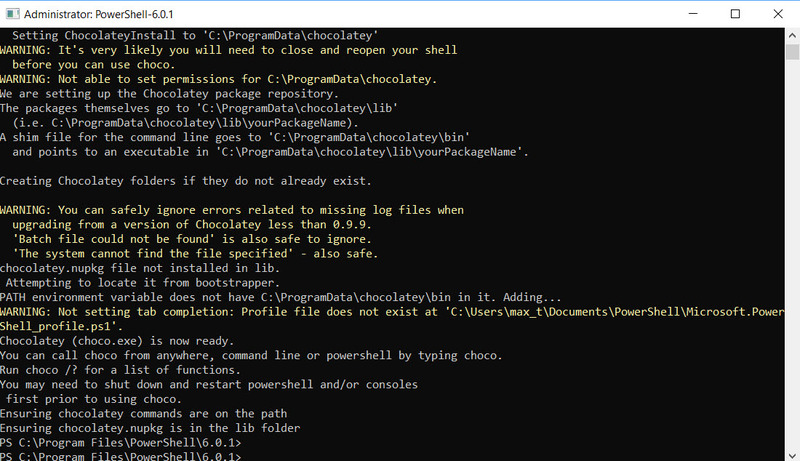 Don’t forget that before install any artifacts from PowerShell Gallery, NuGet, or Chocolatey the console shell need to be open “as an Administrator“.